Scotland is facing the “biggest crisis in family doctors for a generation” after another fall in GP numbers across the country. 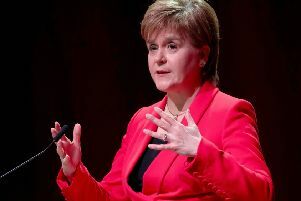 Medical leaders say funding levels in Scotland are below that of England and are now calling on the SNP Government to plug this gap, with fears extra training places promised by ministers have not been delivered. Retired GPs are now being urged to come out of retirement to help address the issue by working as locums, with ministers also spending £2 million on a fund to recruit and retain GPs in Scotland. The number of GPs employed across Scotland has fallen by 90 from 3735 to 3645 between 2013 and 2015. It comes despite repeated warnings from GPs to the Scottish Government about a dwindling headcount. More than 800 doctors are now needed in Scotland to restore levels to the situation in 2009. NHS England already has one per cent more in its share of funding than Scotland’s general practice receives, according to RCGP, and this is to rise south of the border. Dr Alan McDevitt, chair of the BMA’s Scottish GP Committee, said: “This survey illustrates the extent of the problems that are currently facing primary care. “GPs are choosing to leave the profession and those that remain are facing an increasingly unmanageable workload. GP vacancies are on the rise, according to NHS figures, with the report also showing out-of-hours services are “reliant on a relatively small number of GPs” to provide care in the evenings and weekends. The 2015 national primary care workforce survey showed a fall in the number of GPs working full-time from 51% of the workforce in 2013 to 43% in 2015. Among male GPs, who are most likely to work full-time, nearly half are aged 50 or over. Nine out of 10 practices surveyed reported having to use locums and temporary staff to fill in when doctors are either sick or on holiday - but 60% of practices said they were regularly unable to recruit locums for unplanned absences. While a quarter of GPs did some out-of-hours work, the service was reliant on a small number of staff covering a “notable proportion of the hours worked”, the report said. Labour health spokesman Anas Sarwar said: “The SNP government in Edinburgh has created the biggest crisis in family doctors for a generation, with over £1 billion cut from primary care. The Scottish Government is spending more than £2 million on “innovative and exciting” projects aimed at tackling workforce problems, including the development of a locum pool of retired GPs in the Lothians area. The funding comes from the government’s £85 million Primary Care Fund, with Health Secretary Shona Robison saying: “This investment will help to get these innovative and exciting projects off the ground - allowing frontline staff to test new ways of working and new models of care that can be rolled out nationally if they are a success. “It demonstrates our commitment to supporting and developing local GP and primary care services, and working with our partners to do so. We have also pledged to increase the number of GPs working in our NHS. Ms Robison accepted there “still remain challenges in recruiting and retaining doctors to work in general practice”. Donald Cameron, the Tory health spokesman, accused the Government of having “ignored” warnings about the “dwindling number of GPs”.